Recently I was lucky enough to come and join in a small seminar session held by the Deakin University Australia China Organisation (DUACO). 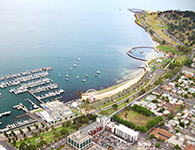 DUACO is a society based in Geelong. It was first established in March 2018 and has quickly expanded over the past months, reaching a number of over 100 members involved nowadays. The aim of the group is to facilitate communication between Australian and Chinese students. Regular formal and informal events are organised to enlighten Australian students to the beauty of the Chinese culture and language. This group also gives opportunities to Chinese students to learn more of Australian culture and English language. DUACO are currently running a regular seminar every Wednesday afternoon from 4 to 6. This seminar was initially coordinated by Deakin University and St. Joseph’s College, and now being continued as an informal session called ‘Chinese Conversation Lounge (CCL)’. High school students and Deakin students who are interested in learning and practicing Chinese are welcomed to come and participate. DUACO have now developed a very helpful process to learn Chinese. If you are interested, come on Wednesday 4-6pm and have some fun. If you have any question in relation to DUACO, feel free to contact Nick and Tom via duaco.8912@gmail.com or their Facebook page.